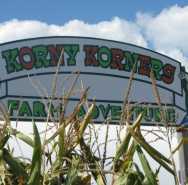 Enjoy the country air as you experience our walk-through corn maze with stations to discover. Family farm fun for everyone! We also accomodate after hour groups. Visit our website for more information!